You get 10 CoinSafe Square Quarter Tubes for each quantity of 1 purchased. Each tube holds up to 40 quarters. 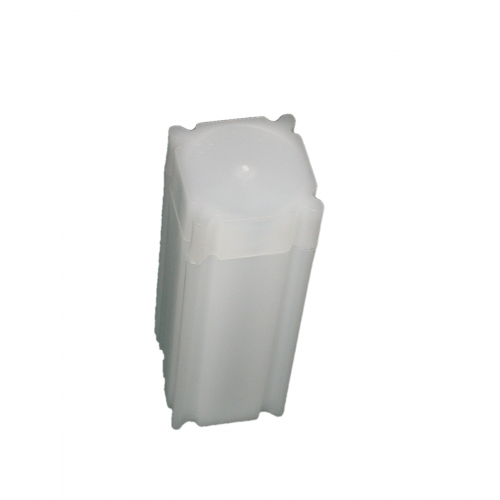 CoinSafe Square Coin Tube are high quality coin tubes, archival safe, and Made in America. Compact design that is strong and durable, with double locking seals. Easily stackable, and since they're square... they can't roll away! Paper wrapped rolls will not fit in these coin tubes, except for the quarter size tubes, which will hold paper rolls. Do you have any questions about 10 CoinSafe White Plastic Quarter Square Coin Storage Tubes?